Kitexplorer, the Belizean Kite Surfing Company since 2002 is now in San Pedro! They have set up shop at the corner of Tarpon St. and Pescador Drive, but their office is mostly located out there in the crystal turquoise waters of the Caribbean Sea. 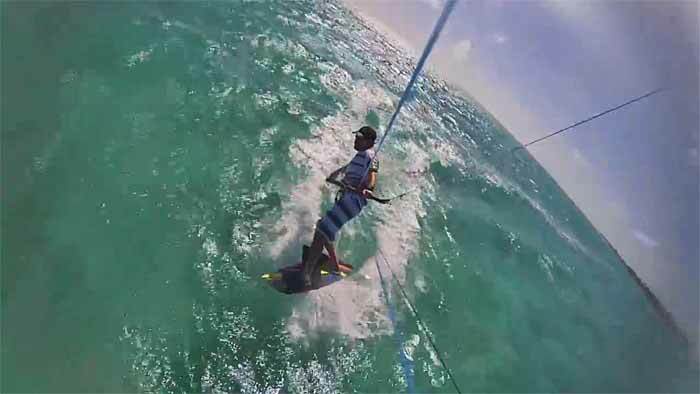 This video is of Kitesurfing from Azul Resort, Ambergris Caye. 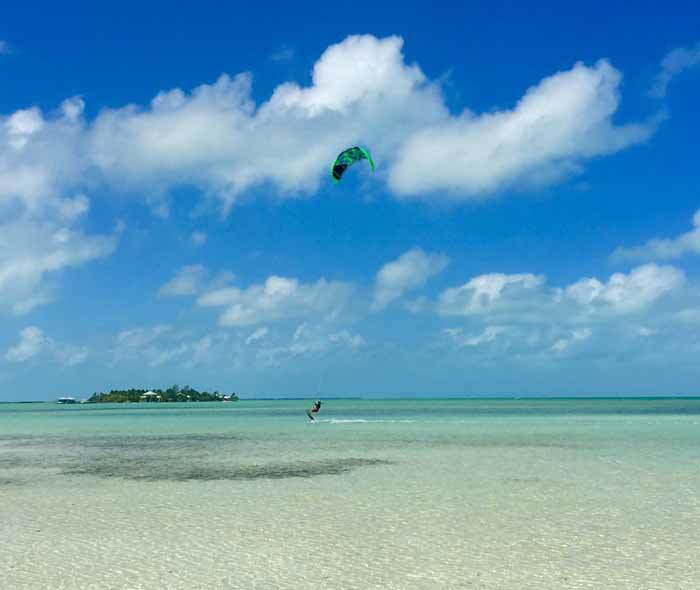 Are there many people who kite surf in Belize? Not one of the five pro kiters we know suggested going to Belize to kiteboard. We already had our doubts about the reliability of wind there and this lack of endorsement certainly contributed to our concerns. But since this trip was for our 8 and 9 year old daughters’ spring break we put our selfish motives aside and chose Belize. To kiteboard AND because of the wide variety of activities that Belize offers. My husband’s and my last two kite trips with friends to the Cayman Islands last winter and Turks and Caicos earlier this winter were filled with frustrating to non-existent wind. This time we would travel with low expectations and a positive mindset to explore the country in other ways, wind or not. The first thing I felt upon landing from the bumpy, bouncy (good sign) short flight on Tropic Air from Belize City to Ambergris Caye was my hair wildly blowing in every direction (very good sign). I saw everything I could have wanted and the beauty and wind of the island far exceeded any expectations and wishes I had. I was more than satisfied. Click here to read the rest of the article and see LOTS more photos on San Pedro Scoop!